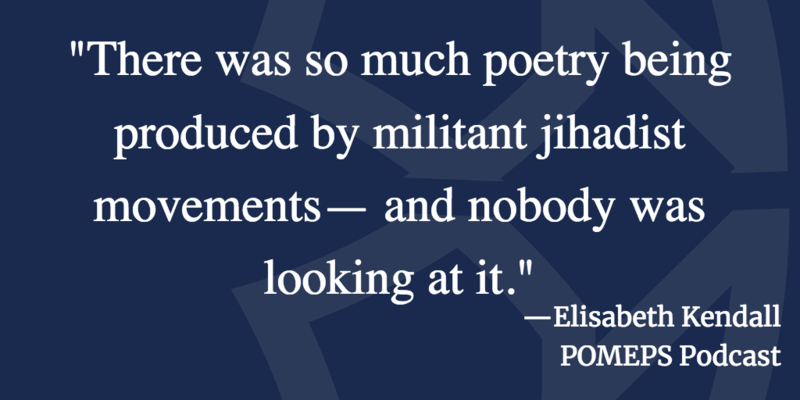 On this week’s podcast, Elisabeth Kendall speaks about her research on poetry by militant jihadists, particularly in Yemen. Kendall is a senior research fellow in Arabic and Islamic studies at Pembroke College, Oxford University. She is also a nonresident senior fellow with the Middle East Peace and Security Initiative and the Atlantic Council’s Brent Scowcroft Center on International Security.